Topic: "How do I maintain my Website regularly? - in other words: Links, Links, Links..."
How to layout a Web Page and how to focus on the most relevant and Visible elements? Internal Linking of your Website. How to add content from external pages? How to Add a Listing, Syndicate it, and make sure Google finds it? How to create Listing Pages? How to optimize your provided pages and link them to the home page without buttons? How to prepare pictures, link them, and align them in tables? How to make the Google and Yahoo bots read your sitemap? What are Link Exchanges and how to work them? How do I create a Page then convert it to Blog? Is there a structure to these pages that works? How do I add good pages to my blog that drive traffic back to me...? How do I create a link page and use Links Partners to drive more traffic...? Bring all your questions and don’t forget your assistant. You will love this class; you will feel liberated and ready to conquer your online market!!! Duration: 5 hours – ample breaks will be offered. This Training is considered and Intensive and will incorporate Web Structure, Web Link Integration, Page Management, and Additional Google Site Map Links!!! "Dear Key, Here is my testimonial...thanks!!! Key, I have attended two of your courses now and I have to tell you, you truly are the best. Your lessons are invaluable and the information is able to implemented immediately. As any non-native speaker will testify, it is sometimes difficult to follow a lecture not in your native tongue. However, I am always able to follow and stay focused during your courses. I wish other trainers would follow your style. Your energy is inspiring and contagious. You will definitely be seeing me in future courses…and the on first page of Google." - Sonia Roman, Realtor, EXIT Real Estate Consultants. Attended Real Estate Blogging Strategy in Columbia SC Thursday March 19th. "As Broker-in-Charge and Owner of an Exit Realty franchise, I have had the opportunity to meet many trainers, coaches, and consultants over the last 10 years. None approach Keys unique ability. A quick look in the dictionary for the word 'energy' and you will find Keys bio attached. Keys presentations about Blogging, Website strategies, and click marketing are absolutely eye opening. You can't help but be 100% involved as Key brings his incredible knowledge and unprecedented enthusiasm to all of his presentations. Any Corporation would be lucky to land this rising star. Thanks Key, for all you have done for us." - Jay Tracey, Broker/Owner of Exit Realty The Tracey Group, James Island, Folly Beach, Charleston SC. "Key, thanks again for the outstanding training/information/guidance/and “kick in the pants” you provided yesterday, March 19 for the EXIT agents in the Columbia area. Your enthusiasm is tremendous and the knowledge agents now have will allow them to properly position themselves in their respective markets. We look forward to seeing you again in May!" - Craig Summerall, Broker/Owner Exit Real Estate Consultants, Lexington SC. Attended Real Estate Blogging Strategy in Columbia SC Thursday March 19th. "Incredible, barely describes the level of expertise of Key Yessaad. I have personally met with web designers, programmers, IT gurus, etc. Their combined knowledge doesn't even equal the holistic approach of Key's understanding of the web. I have spent tens of 1,000s of dollars for the "perfect" website and lead capture systems, with poor results. After attending a 4 hour Blog training session with Key, I posted 2 Blogs and was on page 1 of Google in position 1,2 4 and 6 and had 2 sellers contact me within 72 hours !! Brokers, owners and agents should not delay in scheduling Key." - Greg Bennett, Exit Realty of Beaufort. 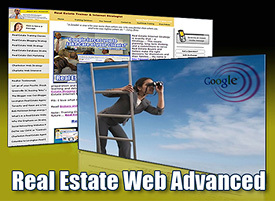 Real Estate Web Advanced Training, Real Estate Internet Strategy Training, Real Estate Training, Real Estate Web Trainer, Real Estate Blogging Web Training, Real Estate Web Strategy, Key Yessaad, Real Estate Blogs, Real Estate Internet Strategist, Real Estate Google Visibility, Real Estate Internet Marketing, Real Estate Links Visibility.